Stroller 3 baby French brand, triple stroller for a weight and light prices. The stroller childminder most suitable. This stroller 3 places "boutique-nounou brand space is the Ultimates in usability. 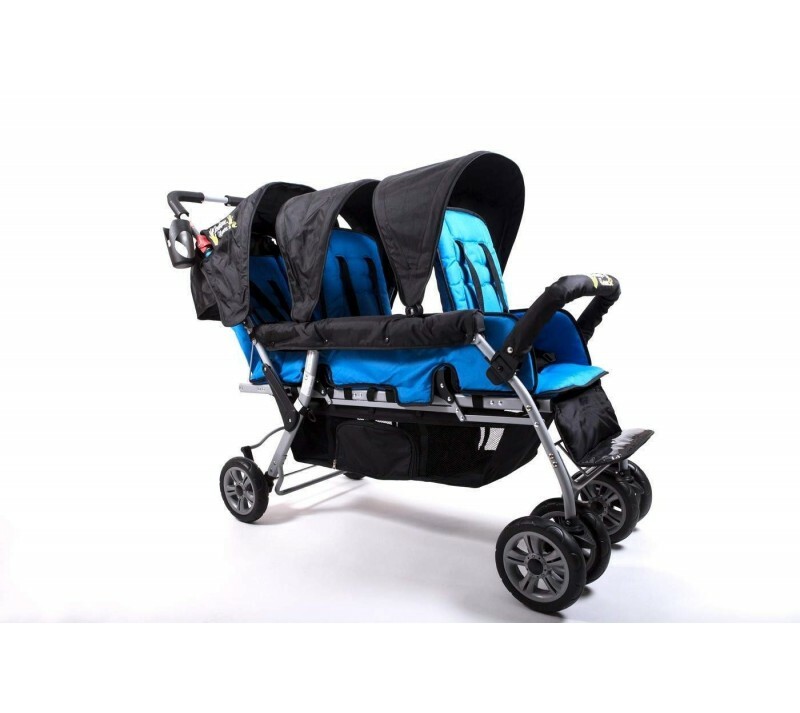 French brand stroller with all French and European standards. The stroller can accommodate children up to 15 kg for a height of 1,14m, while the triple stroller least cumbersome compared to its competitors. 3 condoms for greater protection of children, especially for infants who can find their place at the back in the bucket seats, well protected from the wind. 3 removable hoods that protect children UV, rain and wind for optimal comfort. easy installation in less than 5 minutes. "Buy directly from the manufacturer and a more reliable"
Complies with all French and European standards of child care. Spacing between the front and rear 15cm, 24cm seat cushions for the front seat and 20cm for the 2 rear seats, width 30cm for each seat for comfort. Spare parts, warranty, available immediately on our website.